There is nothing like having a giant excavator working on your property to get the neighbors to stop by, asking what on earth is going on. 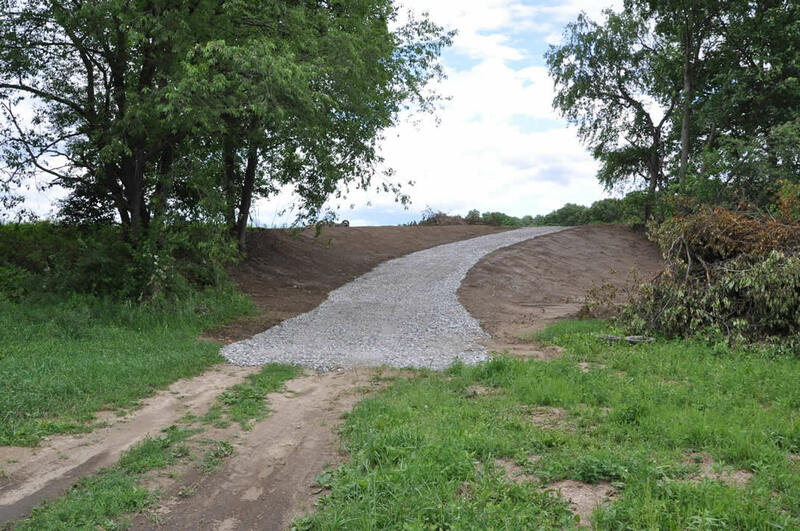 The answer: we just received a grant from the NRCS EQUIP program to fund a number of projects, including repairing this section of road that was badly eroded. In this photo, it kind of looks like a road to nowhere (which has been known to happen with government projects), but really it connects our upper and lower fields. The old road was like a river when it rained and a sheet of ice in winter. The new one will be a huge improvement, except that driving the tractor up and down it in winter will be nowhere near as exciting as it used to be.